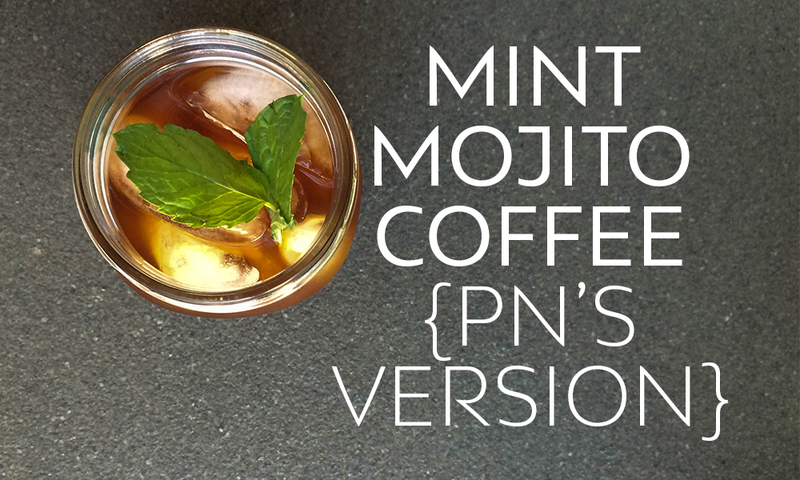 If you haven’t tried Philz Mint Mojito Coffee, you’re in for a treat. Philz Coffee is an eclectic coffee shop in LA, San Francisco, and DC – we love to treat ourselves to their delicious Mint Mojito Iced Coffee now and again. No, we aren’t claiming this to be *spot on* but we still think our version is pretty dang good. This is the perfect summer refresher. Have fun making this recipe your own! Sorry we didn’t use specific measurements but let’s be real…this ‘recipe’ is pretty loose. Like coffee a little sweeter? Great, add more sweetener. Like your coffee creamier? Increase your dairy-free milk. Muddle mint leaves in the bottom of a glass. Bonus points if you use a mason jar. If you’re using a sweetener, muddle the mint and sweetener together! We recommend starting with about 1 tsp sweetener and increasing as needed. 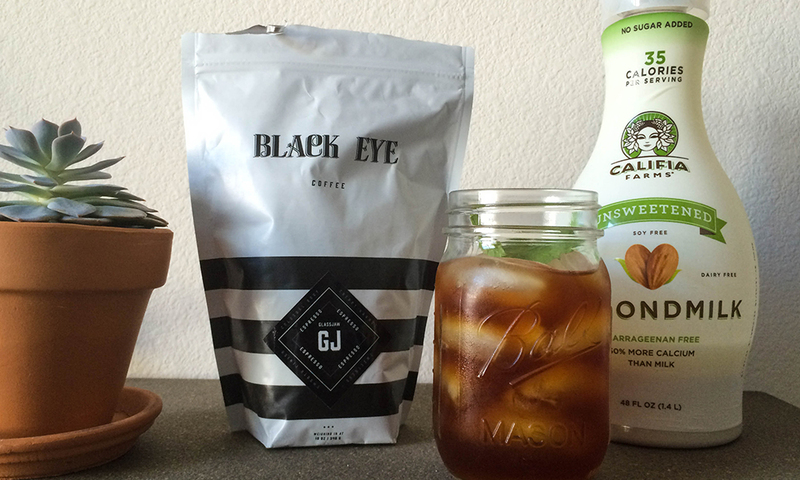 Add ice to the glass, pour coffee in, leaving room for your dairy-free milk. Add desired amount of dairy-free milk. Stir and enjoy! Feeling extra fancy? Add a few fresh mint leaves on top for garnish.